Copyright 1998. Published by Thomas Randolph Crews, 319 Oakwood Court, Lake Mary, Florida, 32746. C.H. Jones / Eds. Note: The following is a partial and annotated transcription of “Some Crews Quarters”, related to the earliest individuals of that surname, whose identities and descendants can be proven from surviving records. I have elected to leave out much of the material not directly related to my direct line of Crew/Crews ancestors, including the Forward, Acknowledgements, Introduction, Chapters 4 and beyond, and prose providing historical context and timeline relationships not specific to the Crew/Crews family. While much of this missing material is worthy reading, it doesn’t assist with the basic desire of the genealogist searching for sources and records to prove deep ancestral relationships. Where possible, I have also included footnotes which reference original source material, if these sources were not supplied by the author. My additional footnotes can be distinguished from those provided by the original author, as they are preceded by “Ed” prior to the number (1-9), and by the fact that the original author’s footnotes in this transcription begin with “10”. — Great Britain and the American Colonies did not adopt the Gregorian calendar until 1752. Prior to that date they followed the ancient Julian calendar, which began the New Year on March 25, rather than January 1. This causes some understandable confusion when trying to determine what date an event actually occurred. — Seventeenth century Quakers rarely used the names of the month to indicate a date; rather they numbered the month. Quaker dates follow the format of day number, month number, year number. — For dates recorded prior to 1752, dates occurring between December 31 and March 25 have been recorded using “double dating”. A reference to February 10, 1748/9, for example, indicates that the event occurred on February 10, 1748 in the old Julian calendar, but in 1749 in the modern Gregorian calendar. It is fairly clear that our Crew(e)(s) ancestry is old Saxon English. But it is not at all clear which individual was our first immigrant ancestor. Early Virginia settlers were understandably more concerned with matters of survival than those of record keeping. And when you include the later destruction of records due to fire, age, and the American civil war, it is truly surprising that our family is documented back to the seventeenth century. There are many immigration possibilities from England to the colony of Virginia. The list includes the following: Randall Crew, age twenty, arrived on the “Charles” in 1621; Joshua Crew was living in Virginia in 1623; Robert Crew, age twenty-three, arrived one the “Marmaduk” in 1623; Joseph Crew arrived on the “London Merchant” in 1624. Roger Crew in 1638; John Crew in 1640; John Crew in 1642; Thomas Crew in 1652; John Crew in 1664; James Crews in 1664; John Crew arrived in “James Town” in 1667; Andrew Crew from Maidstone, County of Kent, arrived in 1668 as a home circuit prisoner by way of Barbados; James Crews in 1677; and Robert Crew in 1681. Our “immigrant” ancestor may have been one of these individuals; or he may have been one whose record has not survived. Our earliest known ancestor, John Crew, was born about 1669. Agreeing with other researchers, I inferred this date from the Charles City County, Virginia court orders. In the October court of 1690, “the said John Crew is now in his non age”10 Ed1 (implying that he was not yet twenty-one). In the March Court of 1690/1, his wife Sarah was referred to as “being now at age”.Ed2 And by November of 1691, John was sued in court as an adult.Ed3 These court appearances will be discussed later in this chapter. It is possible that John may have been born in England and later migrated to the colonies. But there are strong clues that John was born in Virginia. On November 15, 1738, then about age sixty-nine, John signed a petition on behalf of the Quakers which was submitted to the Virginia House of Burgesses. The petition stated that the signers “for the most part” were descendants of early Virginia inhabitants, were native subjects of the crown, and that Virginia, the first English colony, was their native country. This petition will also be discussed later in this chapter. Several things are of interest in this case. The evolution of our surname from Crew to Crews had already started. John was recorded in the court orders as John Crew, John Crew, Jr., and as John Crews, Jr. “Junior” does not necessarily mean that his father was John Crew. But it does at least mean that there was an older John Crew living at the same time in the same county. We do not know much of the details of the case. It is very possible that John had become a Quaker by this time; and that Thomas King was one of the many members of the Church of England who actively persecuted members of the Society of Friends. Later in the same October 1689 court, an order was granted against Thomas King for the costs of six days attendance at court by one of the witnesses, John Craddocke; three days against John Crew and three days against Joseph Renshaw. It appears that if you lost a seventeenth century Virginia court case, you not only paid all the court costs, but you also reimbursed the witnesses for their attendance. The next reference to our John is another civil court case, which started in the February 1689/90 court. The case was lengthy, carrying on through the following courts in 1690: June 3, June 12, August 4, September 15, and October 3. It continued in 1690/1: January, February 3, and concluded Marc3, over three fourths of a year in all. Following is a brief summary of the trial. By August 4, 1690, John Crew had married Sarah Gatley, but neither one was of legal age yet. Sarah’s father was Nicholas Gatley. Nicholas died in 1678 leaving an estate valued at 6000 pounds of tobacco to his daughter, Sarah. The case gets a little complicated from here. Sarah’s mother (Nicholas Gatley’s widow) was also named Sarah. I do not know her maiden name. Because Sarah (the daughter) was a child when Nicholas died, Sarah (the mother) became administrator for the Gatley estate. Sara (the mother and widow) later married John Smith. After John Smith died, she married her third husband, William Morris. William Morris died by 1689, leaving her a widow for the third time. …In the November court of 1694, it was recorded that John Crewe’s deeds of gift to his children be recorded. I do not know who the above Robert Crew was. I suspect he was John’s brother; and possibly the Robert Crew who immigrated in 1681. If so, it raises the possibility that the family were Quakers in England and then migrated to Virginia. Following are other references to John from various minutes of the Henrico monthly meetings: On the eighteenth day of the third month, 1706, a weekly meeting was organized at John and Sarah’s residence at the request of John Crew, Robert Crew, and William Lead (Ladd). On the nineteenth day of the eighth month, 1706, John was appointed to represent the Old Man’s Creek meeting of Charles City County at all of the monthly meetings. On the nineteenth day of the twelfth month, 1708, John was mentioned as having moved from his house where the weekly meeting was being kept. The meeting was then changed to the house of William Lead (Ladd). … John was the clerk of the Henrico monthly meeting from the eighth day of the fourth month, 1711 to the tenth day of the seventh month, 1714. The implication is that he was skilled in both reading and writing. During his tenure… in 1714…two new Quaker meeting houses were soon constructed: “Weyanoke” in Charles City County and the “Swamp” in Hanover County. The “White Oak Swamp” meeting house in Henrico County was refurbished. And in 1717, John was mentioned in the Quaker minutes as being a member of Weyanoke meeting. In about 1726 or 1727, John and Sarah moved to New Kent County, north, and just across the Chickahominy River from Charles City County. We would have better family data; except the colonial records of New Kent County were destroyed by a fire in 1787. “To the Honourable the Governor and Council, and Burgesses, met in General Assembly at Williamsburg. The Humble Petition of the People called Quakers. We lay hold of this Opportunity, with all Humility of Mind, to beseech You that You would be pleased to consider the Case of our Society in this Dominion, who, for the most Part, are the Descendants of Early Inhabitants; and who, as well as our Ancestors, are and have been, subject to great Loss and Detriment in our Substance and Employment, by Annual Seizures and Distress made upon our Goods and Persons on Account of Parish Levies: A Hardship, we hope, You do not desire we should lie under. And as we humbly conceive it is in Your Power to relieve us, are therefore the more emboldened to lay before You this our present aggrieved Case; and the rather, for that, as we have understood, You have been pleased to bestow the like Favour on Sundry German Protestants, by exempting them from Parish Levies: We (being native subjects) are encouraged to hope You will charitably look on our Condition, and afford us some relief: That being once freed from a Burthen, which we have long and patiently born, we may be better enabled to follow our Callings, for Support of our Families, according to Faith and good Conscience. We need not, we hope, tell You that in most of the Provinces under the British Government our Friends set easy in this Behalf; either by Charter of Privileges or by a Special Law, made for that Purpose. We pay all Taxes of Support of Government; we transgress no Laws of Trade; we keep back no Part of the Revenue due to the Crows; the Public are not charged, in the least, with our Poor; and we nevertheless willingly contribute to the Public Poor, and we endeavor to follow Peace with all Men. To conclude, we are not numerous, which makes it the less difficult for You to grant us such Ease as we pray for: And are far from thinking that such Indulgence would increase the Number of real Quakers; and for hipocritical Pretenders, we shall hold ourselves under Obligations to detect them; so as the Government shall not be imposed on, nor Your Favour any ways abased; And further be pleased to know, it is for the Tender Conscience Sake, and not willfully nor obstinately, we have hitherto suffered, having sustained more than Treble Damages for our Conscientious Refusal: And by the Assistance of Divine Grace, preserved from Prejudice, against those who have been most active against us; We hope it will please Almighty God to put into Your Hearts to sat Amen to the Prayer of our Petition; and to also hear our Prayers; which are for Your Tranquility and Happiness, both in This World and That which is to come. Signed in Behalf of the Society called Quakers in Virginia. But the persecutions continued. On the fifth day of the seventh moth, 1747, John reported to the monthly meeting that he had a horse seized for fine. John and Sarah, together with other relatives and friends, endured fines, having property confiscated, being placed in jail, etc. for many years while still managing to remain successful planters on the Virginia frontier. i. Sarah Crew married Robert Ellyson in 1714/15. They had five children and lived in New Kent County, Virginia where Robert was overseer of the Black Creek meeting. In 1738, he was made treasurer of the Henrico monthly meeting. The family suffered numerous fines, but remained in New Kent County. ii. John Crew married Agatha Ellyson in 1717. They also lived in New Kent County where John was a minister and Agatha was an elder. The family, including eight children, suffered many fines. The Virginia yearly meeting of May 29, 1762 reported that they were both deceased and ordered memorials read and recorded for them. iii. Andrew Crew married Hannah Ellyson in 1720. They had eight children and continued to live in Charles City County, where they were members of the Weyanoke Meeting. The family suffered numerous fines, and at one point Andrew was imprisoned for two weeks. iv. Mary Crew married John Ladd in 1724. They lived in Charles City County with their eight children and were members of the Weyanoke Meeting. In 1726, John made testimony against bearing arms and paying tithes. For this testimony, they lost so many of their household goods to fines that the Quaker meeting aided them in their distress. v. Joseph Crew married Massey Johnson in 1725 and lived in Hanover County, Virginia with their nine children. Joseph was fined in 1738. Joseph and Massey are subjects of Chapter 2.Elizabeth Crew married Thomas Stanley, Jr. in 1726. They had ten children and lived in Hanover County where Thomas was the first overseer of the newly established Cedar Creek meeting. The Cedar Creek meeting house was built on “Stanley Land”, part of an 800 acre tract granted to the Stanleys in 1714 by Governor Alexander Spotswood. A Quaker meeting house at Cedar Creek existed until a forest fire in the year 1904.
vi. Elizabeth Crew married Thomas Stanley, Jr. in 1726. They had ten children and lived in Hanover County where Thomas was the first overseer of the newly established Cedar Creek meeting. The Cedar Creek meeting house was built on “Stanley Land”, part of an 800 acre tract granted to the Stanleys in 1714 by Governor Alexander Spotswood. A Quaker meeting house at Cedar Creek existed until a forest fire in the year 1904.
vii. Jane Crew married John Sanders, Jr. in 1727/8 and had nine children. They were fined in Hanover County and later migrated to Guilford County, North Carolina where they were among the original members of the Deep River monthly meeting. Jane died in 1793 in Guilford County. viii. William Crew married Hannah Sanders in New Kent County in 1729 and had eight children. They suffered seizures of property in 1733 because William refused to bear arms and again in 1735 for refusal to pay tithes. They later moved to Louisa County, Virginia. William was put on probation by the Quakers in 1750 and dismissed from the church later that year. He died in 1771 in Louisa County. ix. Anne Crew married William Lane (Ladd) in 1733/34 in Charles City County and had seven children. In 1764, the family moved to New Garden monthly meeting in Guilford County, North Carolina with other relatives. William was dismissed from the Society of Friends in 1769.
x. David Crew married Mary Stanley in 1733/34, having at least two children. After Mary passed away, he married Mary Ladd, widow of Samuel McGahea in 1754. David was disowned in 1758 for neglecting to insure that his children attended regular Quaker meetings. His son, David, Jr., is further described in Appendix A. This “Neglected child”, David, Jr., was a soldier in both the French and Indian War and the American Revolutionary War. He was a later business associate of Daniel Boone and was a citizen and a military guard of Boonesboro, Kentucky. In 1698, Jamestown, then the capital of colonial Virginia, burned. In about the same year, but thirty miles to the northeast in Charles City County, a son named Joseph was born into the staunch Quaker family of John and Sarah Crew. By this time in the southern colonies, tobacco was clearly established as the most significant cash crop. But tobacco depleted the soil very quickly, and new land had to be continually obtained and cleared. New settlers were arriving in the colonies from all parts of the new Kingdom of Great Britain and Ireland, many of them as indentured servants. Local governments were forced into making modifications and changes. In 1720, Hanover County was formed from the northwestern portion of New Kent County, Virginia. And it was here that Joseph Crew married Massey Johnson. Massey had been baptized on February 5, 1704/5 in St. Peter’s Parish, New Kent County and was the daughter of John Johnson and Lucretia Massey. “Whereas Joseph Crew Son of John Crew of Charles City County and Massey Johnson Daughter of John Johnson of Hanover County having declared their Intentions af taking each other in Marreyage Befoare two Severiall publick Meetings of The People Called Quakers in Virginia acordin to the good order yoused amoungest them whose proceeding their in after a deliberate Consideration with regard to the Rituous Law of god were approved by the said Meeting in Relation to mareyage and having Consente of parience and friends concerned. “Now these are to Certifeye all whom it may Concern that for the full acomplishement of Their said Intentions this twelfe day of the Sixth Month in the yeare on Thousand and Seven hundred and twentye five thaye the said Joseph Crew and Massey Johnson appearing in a publick Meeting of the afoare said peopell and others at the Meeting house of The said Peopell in Hanover County and in a Solemn Maner he the said Joseph Crew taking the said Massey Johnson by the hand did opinley declare as followesth. “In the presence of god and you my witnessis the Day I Take Massey Johnson to be my wife. “And then and there in the said asemly the said Massey Johnson Did in a like maner declare the followeth. In the presence of god and you my witnessis this Day I take Joseph Crew to be my husband. “And the said Joseph Crew and Massey his now wife as farther Confirmation therof did then and thir to the presenc sighned ther hand and wee whose names here signed Being present among others at the Solemnising of the said Mariage and Subscribtion in maner aforesaid in witness wherof have also Subscribed ower names the Day and yeare above written. It appears that Joseph and Massey lived in Hanover County, just north of Richmond, for the remainder of their lives. But records are scarce. Richmond was burned 140 years later at the conclusion of the American civil war and flames also consumed most of the Hanover County courthouse records. i. Abigail Crew, who was disowned from the Society of Friends in 1744 for marrying out of unity. v. Joseph Crew(s)James Crew(s) married Emelia (maiden name unknown), and moved to Granville County, North Carolina. This section of North Carolina was later to become a focal point of the Revolutionary War. In 1778, along with his brothers Gideon and Thomas, James took a public oath to protect North Carolina from the King of Great Britain. James and Emelia had at least 7 children and named one of the daughters Massey, after James’ mother. They later moved to Stokes County where James died in 1831.
vi. James Crew(s) married Emelia (maiden name unknown), and moved to Granville County, North Carolina. This section of North Carolina was later to become a focal point of the Revolutionary War. In 1778, along with his brothers Gideon and Thomas, James took a public oath to protect North Carolina from the King of Great Britain. James and Emelia had at least 7 children and named one of the daughters Massey, after James’ mother. They later moved to Stokes County where James died in 1831.
vii. Caleb Crew(s) married Elizabeth (maiden name unknown) and also moved to Granville County. They had five children and also named a daughter Massey. Caleb’s musket was on display for several years at the Guilford Courthouse National Military Park. Caleb owned 140 acres near the town of Oxford where he died in 1814.
viii. Gideon Crew(s) married Jemima Whicker and also moved to Granville County. They had eight children and are the subjects of Chapter 3.
ix. Thomas Crew(s) married Mary Talley. They had ten children and also named a daughter Massey. Thomas and Mary first moved to Granville County but later migrated to Stokes County where Thomas died in 1841. …Most sources list our Gideon’s birth year as 1730. …I am certain that Gideon’s childhood included regular teachings of the Quaker faith and very strong family values. But his father, Joseph Crew, died in early 1759, leaving Gideon and some of the other children quite young. I am also certain that the children could not help being influenced by… all the military training going on around them (related to the lead up to the American Revolutionary War). During this period of time, many Quakers were being disowned from the Society of Friends for many different reasons, including marriage to non-Quakers and bearing arms. With the war at its peak, it must have been very difficult for young Quaker men to stay away from the military. Gideon, together with some of his brothers and cousins also began to have problems with the Society. Gideon’s cousin, David, mentioned below, was a soldier in both the French and Indian War and later in the American Revolution. June 7, 1760: “Robert Elyson reports that he has had an opertunity of speaking with David Crew, Junior, who gave some reason to expect an amendment of his conduct in future, but notwithstanding his fair promises, it appears that he hath since enlisted himself a second time as a soldier.”41 There is a section about David in Appendix A. Many of the children of Joseph and Massey Crew had already been disowned by the Quakers. The following wording is very harsh, but is fairly standard wording for all those being disowned at the time. But we may never know, with certainty, the exact reason that the brothers James, Caleb, and Gideon Crew(s) were disowned. August 1, 1761: “Joseph Ellyson returned the paper of denial against James, Caleb and Gideon Crew and reported that he had read the same in the Swamp Meeting and sent them a copy agreeable to order and is as follows: Whereas James, Caleb and Gideon Crew, sons of Joseph Crew of Hanover County were educated in the profession of us the people called Quakers and did some time frequent our Religious Meetings, but for want of faithful adherents to the dictates of that Divine principle which was sufficient to have preserved them from every Pollutions as well as in due Observance of the known Rules of our Society have conducted themselves in such a loose and unchristian like manner in several respects contrary to the good order and repeated admonitions of Friends, that we do hereby disown the said James, Caleb and Gideon Crew to be of our Society until they come to witness that godly sorrow which worketh true repentance which that the Lord may mercifully grant is our sinceare desire.”45 James, Caleb and Gideon are not found in any Quaker minutes after this meeting. In Hanover County, Virginia, many planters, including the W(h)ickers and the Crew(s), were moving south to better and less expensive lands in Granville County, North Carolina. Gideon, together with his brothers and related families, made the journey by 1771, when Gideon’s name appeared on the tax list for Granville County. Our surname had already begun to fluctuate between Crew and Crews, but from this point forward, it was and is consistently Crews. An interesting side note on this change is found in the David Crew(s) family Bible. This David, also a first cousin of Gideon, was a different David from the soldier described earlier. This David married Sarah Gooch and moved to Guilford County, North Carolina, where they continued to be active Quakers. His parents were William and Hannah Crew and his grandparents were John and Sarah Crew from Chapter 1. At any rate, early entries in David’s family Bible were spelled Crew. Names added in later years were spelled Crews. Gideon’s brother-in-law, John Whicker, “was in Guilford County about 1781 and during the Battle of Guilford Courthouse was taken prisoner by the Tories and taken to the British camp. They also killed his cattle.”51 I do not know the specific involvement of Gideon, James, Thomas, and Caleb. Caleb’s musket was on display at the military museum at Guilford Courthouse National Military Park for a number of years until a descendant claimed it. It is a very good guess that Gideon, James, and Thomas were also present. “Gideon Crews, from the family history and reports believed to be true about him was a wide-awake, hustling farmer. When he first came to this county he bought 101 acres of land on Harold’s Creek, now in Salem Township, and near the place where the Pleasant brothers now live. He later bought a tract of land adjoining this farm from the State in 1779. Another 100 acres he bought from Nathan Bass adjoining the others in 1778.Ed7 He bought an additional tract of 62 acres from Reuban Talley in 1794Ed8 and still another tract from Thomas Whicker, supposed to be his brother-in-law in 1795. “The eminence of the Salem community as a God-fearing, law-abiding section dates back to a time when three families, – friends, neighbors, and ‘in-laws’ – lived there, and exerted a large influence upon the surrounding countryside. These families and their descendants have from early days down to the present been among the leading citizens of the community, and for the last hundred years or more have constituted the bulk of the membership of Salem Church. “In the name of God amen. I Gideon Crews of Granville County and State of North Carolina being very sick but of Perfect mind and memory, thanks being given unto God, calling into mind the mortality of my body and knowing that it is appointed once for all men to die make and ordain this my last will and testament that is to say principally and the first of all I give and recommend my soul into the hands of Almighty God who gave it and my body I recommend to the Earth to be buried in decent Christian burial at the discretion of my executors nothing doubting but at the general resurrection I shall receive the same again by the Almighty power of God and as touching such worldly estate wherewith it has pleased God to bless me in this life. I give and devise and dispose of the same in the following manner and form. Item – I lend to my well beloved wife Jemima Crews during her natural life the tract of land whereon I now live with the mansion house and kitchen and all the out houses with all the appurtenances in any wise thereto belonging. Item – I likewise lend to my well beloved wife Jemima Crews during her natural life my two negroes Betty and Burrell my felix sorrel horse and sorrel mare and colt and her choice of seven head of my stock of cattle with three sow pigs and twelve head of sheep and all the fowls on the plantation. Item – I likewise lend to her during her life such of my plantation Tools and Utensils as she thinks proper to take with two featherbeds and one half of her choice of my household and kitchen furniture with my Cast and yoke of steers. 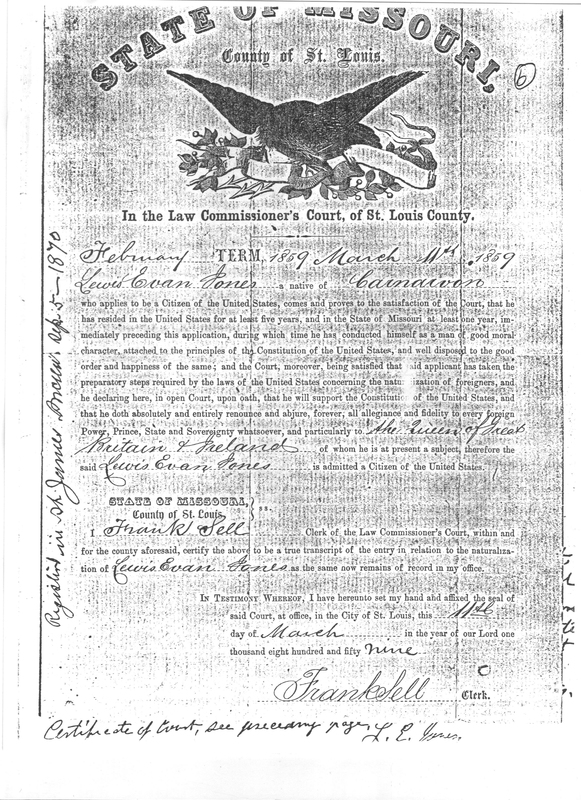 Item – Is that my executors hereafter named shall sell at Public sale and twelve months credit all my negroes with all the property found on the plantation not heretofore divided to my loving wife Jemima Crews and the money arising from such sale after all my just debts are paid off be Equally divided amongst my eight children. To Wit, Milly Hester, Elizabeth Currin, Joseph Crews, Gideon Crews, Abby Daniel, James Crews, Littlebury Crews and Jemima Currin to them and their heirs and assigns forever. Item – my will and desire is that my Executors after the decease of my loving wife Jemima Crews should sell all my property devised to her during her natural life at public sale and the money arising by such sale to be equally divided amongst my eight children before named to them and their heirs and assigns forever. Item – I nominate and appoint my two sons Gideon Crews and James Crews my sole executors of this my last will and testament and I do hereby utterly disallow revoke and disannul all and every other Testament will Legacies bequests Executors by me in any wise before named willed and bequeathed ratifying and confirming this and no other to be my last will and Testament in witness whereof I have hereunto set my hand and seal this the 16th October one thousand eight hundred & fifteen. The eight children of Gideon and Jemima Crews were:Mildred Crews, born about 1770, married John Hester. They moved to Stokes County, North Carolina (and) had nine children. i. Mildred Crews, born about 1770, married John Hester. They moved to Stokes County, North Carolina (and) had nine children.Joseph Crews, married Elizabeth currin. ii. Joseph Crews, married Elizabeth currin.Abigail Crews, born about 1775, married William Daniel, and resided in the northern section of Granville County. iii. Abigail Crews, born about 1775, married William Daniel, and resided in the northern section of Granville County.Gideon Crews, Jr., born September 2, 1779, married first Temperance Lemay, having five children; second Parthenia Heggie Higgs, widow of Daniel Glover, and remained in Granville County. iv. 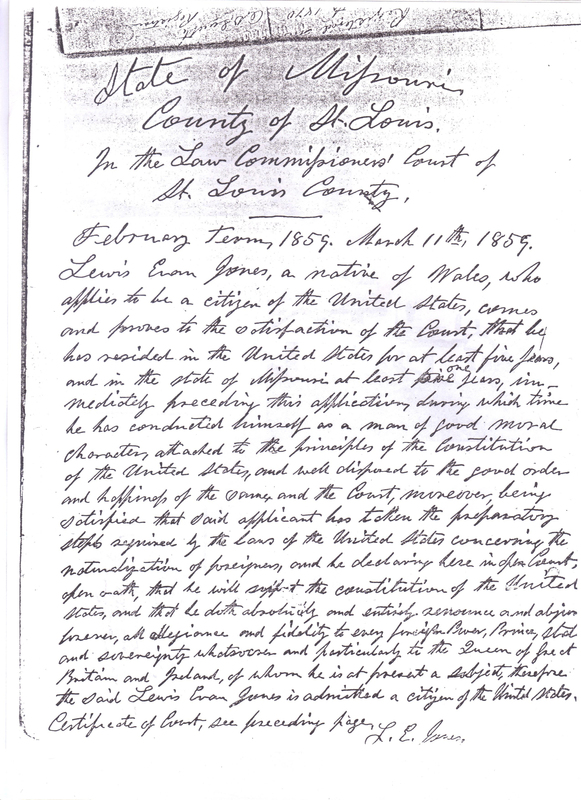 Gideon Crews, Jr., born September 2, 1779, married first Temperance Lemay, having five children; second Parthenia Heggie Higgs, widow of Daniel Glover, and remained in Granville County. v. Elizabeth Crews, born in 1780, married Lemuel Currin and remained in Granville County. Lemuel and Elizabeth had seven children. vii. Littleberry Crews married first Elizabeth Earl. She was a sister of Sarah Jones Earl and they had six children. After Elizabeth died he married Nancy Cheatham, had another six children, and later migrated to Tennessee. Littleberry Crews is the subject of Chapter 4. (Editor’s note: Chapter 4 and subsequent chapters, dealing with Littleberry/Littlebury Crews and his descendants has been omitted from this transcription, as he is not a direct ancestor of this transcriber/editor. )Jemima Crews, born about 1791, married Wyatt Currin, and remained in Granville County until she died at an early age, before 1824. Wyatt and Jemima had four children. viii. Jemima Crews, born about 1791, married Wyatt Currin, and remained in Granville County until she died at an early age, before 1824. Wyatt and Jemima had four children. The graves of Gideon Crews Sr., his wife and family, are located at the following GPS Coordinates: Latitude: 36.36729, Longitude: -78.55753. The plot is at the corner of Homer Siding Rd. and Winding Oaks Rd. approximately 100 yds from the corner above the pond. It is not well maintained. The graves were originally marked only with uncut stone. Today a stone marker has been placed at the head of the path into the wooded area to designate the significance of the place. 10 Charles City County, Virginia Court Orders, 1687-1695, page 311, The Library of Virginia, Richmond, Virginia; also found on Family History Center’s microfilm number 0030990. Ed4 Captain James Crews was executed on January 24, 1677, on order from Governor Berkeley, for his role in helping to lead Bacon’s rebellion. 20 Charles City County, Virginia Court Orders, 1687-1695, page 245. 21 Charles City County, Virginia Court Orders, 1687-1695, page 336. 22 William Wade Hinshaw, Encyclopedia of American Quaker Genealogy, volume 6, Virginia (Baltimore, Maryland: Genealogical Publishing Co., Inc., 1973), page 148. 23 Alice Crew Baker, The Story of my Children’s Grandparents (Chevy Chase, Maryland: n pub., 1926), page 3. 24 Virginia Lee Hutchenson Davis, Tidewater Virginia Families (Baltimore, Maryland: Genealogy Publishing Co., Inc., 1989), page 385. 25 Virginia Lee Hutchenson Davis, Tidewater Virginia Families (Baltimore, Maryland: Genealogy Publishing Co., Inc., 1989), page 388. 26 Carol Peterson, “The John and Sarah Crew Family”, Crews News, Volume 3, Number 1 (November 1991 – January 1992), page 1. 27 William and Mary College, “Quakers’ Petition”, William and Mary College Quarterly Historical Magazine, series 1, volume 14, page 23-25. 28 Alice Crew Baker, The Story of my Children’s Grandparents (Chevy Chase, Maryland: n pub., 1926), page 5. 29 Adair Pleasants Archer, “The Quaker Attitude Towards the Revolution,” William and Mary College Quarterly Historical Magazine, July 1921, page 169-170. 30 Alice Crew Baker, The Story of my Children’s Grandparents (Chevy Chase, Maryland: n pub., 1926), page 5. 33 Henrico County, Virginia, Friends Records, 1699-1757, page 74, Haverford Special Collections, The Quaker Collections, Haverford College, Haverford, Pennsylvania, microfilm, also Family History Centers, microfilm, number 031762. 34 Henrico County, Virginia, Friends Records, 1699-1757, page 74, Haverford Special Collections, The Quaker Collections, Haverford College, Haverford, Pennsylvania, microfilm, also Family History Centers, microfilm, number 031762. Ed6 Henrico County, Virginia, Friends Records, 1699-1757, page 167. 36 Henrico County, Virginia, Friends Records, 1699-1757, page 205. 37 White Oak Swamp Meeting, Henrico County, Virginia Friends Records, 1757 – 1780, page 29, Friends Historical Library of Swarthmore College, Swarthmore, Pennsylvania, microfilm; also Haverford Special Collections, Haverford College, Haverford, Pennsylvania, microfilm; also Family History Centers, microfilm number 031779. 38 White Oak Swamp Meeting, 1757 – 1780, page 37. 39 White Oak Swamp Meeting, Henrico County, 1757 – 1780, page 37. 40 White Oak Swamp Meeting, Henrico County, 1757 – 1780, page 39. 41 White Oak Swamp Meeting, Henrico County, 1757 – 1780, page 39. 42 White Oak Swamp Meeting, Henrico County, 1757 – 1780, page 48. 43 White Oak Swamp Meeting, Henrico County, 1757 – 1780, page 51. 44 White Oak Swamp Meeting, Henrico County, 1757 – 1780, page 51. 45 White Oak Swamp Meeting, Henrico County, 1757 – 1780, pages 52 – 53. 46 C.G. Chamberlayne, The Vestry Book of St. Paul’s Parish, Hanover County, 1706-1786 (Richmond, Virginia, The Library Boards, 1940), page xvi. 47 C.G. Chamberlayne, The Vestry Book of St. Paul’s Parish, Hanover County, 1706-1786 (Richmond, Virginia, The Library Boards, 1940), page 467. 48 Richard Fenton Walker, Jr., The New Wicker/Whicker Family, (Baltimore, Maryland: Gateway Press, Inc., 1997), page 27. 49 Walter Clark, The State Records of North Carolina, (Goldsboro, North Carolina: Nash Brothers Book and Job Printers, 1905 – 1907), volume XXII, pages 168-170. 51 Richard Fenton Walker, Jr., The New Wicker/Whicker Family, (Baltimore, Maryland: Gateway Press, Inc., 1997), page 39. 52 Treasurer’s and Comptroller’s papers, Revolutionary Army accounts, volume I, page 88, folio 4, An account of specie Certificates paid into the Comptrollers Office by John Armstrong Entry Taker for Lands in North Carolina, number 955, 13 March 1784, State of North Carolina Department of Cultural Resources, Division of Archives and History, Raleigh, North Carolina. This Indenture made the fifth day of February in the year of our Lord one thousand seven hundred and eighty eight. Between Nathan Bass in the County of Granville & the state of North Carolina on the one part and Gideon Crews of this county and state on the other part witnessed that Nathan Bass paid in consideration of the sum of fifty pounds Virginia monies to him in hand paid by Mr. Gideon Crews for receipt he doth hereby acknowledge hath given granted & bargain & sold by these present doth give grant bargain and sell to Mr. Gideon Crews a certain tract or parcel of land lying in Granville County on the waters of Harrolds Creek beginning at the hickory on Mr. Gideon Crews line thence south on Reuben Talleys line to a corner red oak hence on Thomas Crews line to the corner red oak hence west to the corner red oak hence to the hickory to the first station. Containing by estimation one hundred acres be the same more or less to have and hold these premises with all the appurtenances hereunto belonging or in any wise appertaining with the privilege of hunting & fowling unto Mr. Gideon Crews his heirs assigns forever. The other Nathan Bass for himself his heirs assigns doth covenant & agree with Mr. Gideon Crews his heirs & assigns to warrant to defend the same one hundred acres of land against all persons whatsoever unto the only in behalf of Mr. Gideon Crews. In witness whereof Mr. Nathan Bass hath hereunto set his hand and seal the day and the year above written. Truly Reg: M. Satterwhite PR Henderson C.C. This Indenture made this second day of August in the year of our Lord one thousand seven hundred and ninety four between Reuben Talley of the County of Granville of the state of North Carolina on the one part and Gideon Crews of the county and state aforesaid of the other part. Witness that Reuben Talley for and in consideration of thirty seven pounds four shillings Virginia money to him paid in hand by Mr. Gideon Crews the receipt whereof he doth hereby acknowledge hath given granted bargained and sold and by these presents doth give grant bargain and sell unto Mr. Gideon Crews a certain tract or parcel of land lying in Granville County on the waters of Fishing Creek & bounded as follows: beginning at Gideon Crews old corner a red oak in Edmund Taylor, said line thence No by a line of Mark trees to white oak Wm. Pulliams corner in Gideon Crews line Prince River, ~ing on Pulliams line to a corner white oak in Taylors line, thence on Taylors line to the first station, containing sixty two acres be it the same more or less with all the appurtances thereunto belonging. To have and to hold the aforesaid land with the aforesaid appurtances unto Mr. Gideon Crews his heirs and assigns forever. Mr. Reuben Talley for himself and his heirs doth covenant and agrees with Mr. Gideon Crews his heirs and assigns in the above sixty two acres of land with the appurtenances unto Mr. Gideon Crews his heirs assigns against all persons whatever will warrant & forever defend. Mr. Reuben Talley hath hereunto set his hand & affixed his seal this day & year above written. Truly Reg. M. Satterwhite PK Anderson C.C. 53 Granville County Historical Society, “Historical Data of Granville County,” Oxford Public Ledger (Oxford, North Carolina) June 25, 1929, page 2, Richard H. Thornton Library, Oxford, North Carolina, microfilm. 54 Granville County Historical Society, “Historical Data of Granville County,” Oxford Public Ledger (Oxford, North Carolina) June 25, 1929, page 2, Richard H. Thornton Library, Oxford, North Carolina, microfilm. 55 Thurston Titus Hicks, Sketches of William Hicks, Abner Hicks, Jasper Hicks, George Harris, James Crews, John Earl, and Something of Some of Their Descendants (Henderson, North Carolina: 1926), page 27. 56 Francis B. Hays, “Salem Community,” Oxford Public Ledger (Oxford, North Carolina) October 31, 1944, page 2, Richard H. Thornton Library, Oxford, North Carolina, microfilm. 57 Francis B. Hays, “Salem Community,” Oxford Public Ledger (Oxford, North Carolina) October 31, 1944, page 2, Richard H. Thornton Library, Oxford, North Carolina, microfilm. 58 Francis B. Hays, “Salem Community,” Oxford Public Ledger (Oxford, North Carolina) October 31, 1944, page 2, Richard H. Thornton Library, Oxford, North Carolina, microfilm. 59 Francis B. Hays, “Salem Community,” Oxford Public Ledger (Oxford, North Carolina) October 31, 1944, page 2, Richard H. Thornton Library, Oxford, North Carolina, microfilm. 60 “Will of Gideon Crews,” October 16, 1815, Granville County, North Carolina will book 7, page 544, probated November 1815, Richard H. Thornton Library, Oxford, North Carolina, microfilm. 61 Granville County Historical Society, “Historical Data of Granville County,” Oxford Public Ledger (Oxford, North Carolina) June 11, 1925, Richard H. Thornton Library, Oxford, North Carolina, microfilm. 62 Granville County Historical Society, “Historical Data of Granvuille County,: Oxford Public Ledger (Oxford, North Carolina) June25, 1929, page 2, Richard H. Thornton Library, Oxford, North Carolina, Microfilm.